Israel’s Cabinet of Ministers has approved a bill toughening penalties for stone-throwers, who from now on may face a sentence of up to 10 years in prison for attacking police and targeting public transport. A draft law was introduced by former centrist justice minister Tzipi Livni after a wave of Palestinian protests in occupied East Jerusalem in 2014. The first version approved by the parliament allowed a sentence of up to 20 years of imprisonment for purposely throwing a stone to cause bodily harm. However, Israel's new justice minister Ayelet Shaked complained that such cases would probably be handed down because it’s difficult to prove whether there was intent to inflict injury, especially in cases where the stones are thrown during mass street protests. The evasion of penalties is possible in the current situation, as the law requires proving that the stone-thrower’s intentions were deliberate. The ministerial committee approved the amendments proposed by Shaked, which included a jail term of 10 years' without the need to prove the intentions of an accused rock-thrower, she announced in her Twitter account on Sunday. Tzipi Livni at first proposed that the punishment for all kinds of stone attacks made five years. Ayelet Shaked proposed to leave the penalty for assaulting a police officer unchanged but to increase the punishment for throwing stones at public transport, as it poses more threat to people. 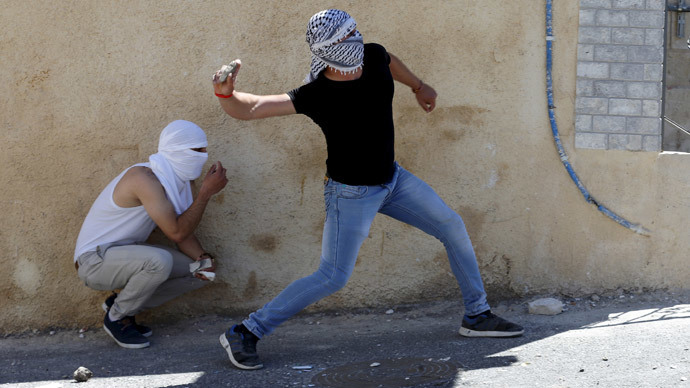 Stone-throwing over the past decades has become an iconic form of resistance and protest by Palestinians, with regular clashes between the armed IDF force and stone-throwing youth in West Bank and east Jerusalem often making the headlines. The Palestinian side has already deemed the new draft a “discriminatory” move by Israel. “I don’t think it [the bill] will have any effect on Israelis, because it is, in terms of content, only applicable to Palestinians. It is discriminatory, singling out Palestinians,” Maen Rashid Areikat, the chief of Palestinian Liberation Organisation Delegation in Washington DC, told Al Jazeera. “When it comes to the Palestinians and Israelis, Israel has two different judicial systems. One is applicable to Israeli citizens and the other for Palestinians,” Areikat said.